Yes Sorry to see ..but glad you are ok !! P.S. 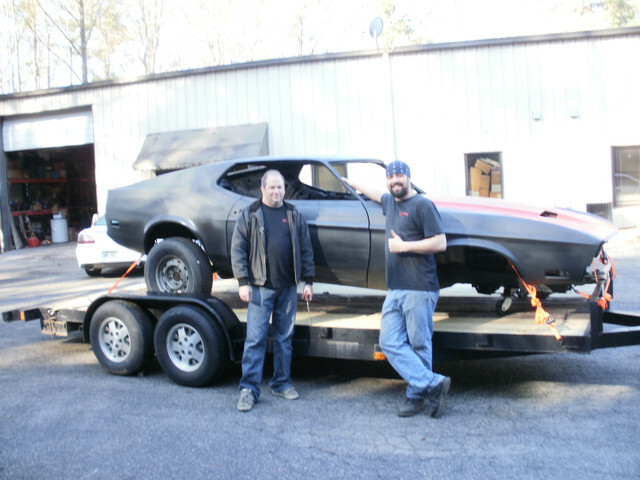 Take the money and buy the 71 Cuda you want! Glad you are ok and really sorry about your car. I would do as others have stated and try to take a little less for the payoff if they total it and see if you can keep it. Good luck, let us know how it goes. Thanks again guys for the nice replies and I really do appreciate all the advice. I just looked under the car and the engine cross member looks fine, engine mounts look ok, and the front cross member even looks alright. All the steering linkage looks good and the front sway bar doesn’t look like it’s damaged. Both doors open and close same as before and the gaps look the same. Could just look a lot worse than it is, but I still need to check it out more. Plus see what Hagerty says. Will let you know what happens. Those are all hopeful signs. The insurance company is probably going to come in high at the repair estimate as they will go with new repro parts and astronomical labor rates. The shop that did the metal work on my car had it for 5 weeks to get all of that metal work done. They only do metal work and no paint. I specifically looked for that to know the quality of work underneath. As others have stated earlier and I neglected in my post we are all grateful you came out OK and no one else was injured. Like you said keep us posted and if you come to a decision point and need the name of the shop that did my work let me know. They were good guys back in 2010 when my metal work was done. Sorry for your accident and glad not hurt worse. 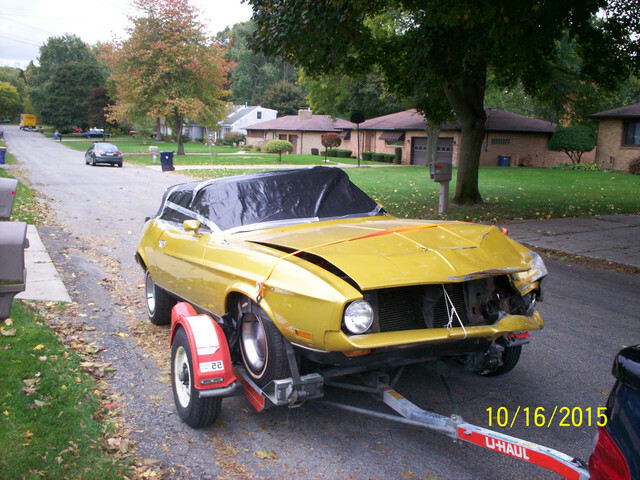 I have a Mach 1 that took a similar hit from a pole back in the 70's. It was totaled and I purchased off the insurance auction yard. There was a buckle in the roof on it and when I pulled the seats and carpet out the floor had some waves added. It would have need to be cut behind the front seat and entire front clip put on. Was not worth it even with only I think 35,000 miles on it. Of course if you can work it out with the insurance company I do know that in Michigan they will give you clear title. I bought the car in the pictures couple years ago and got clear, clean title not salvage with the car. It was a one owner beautiful car. 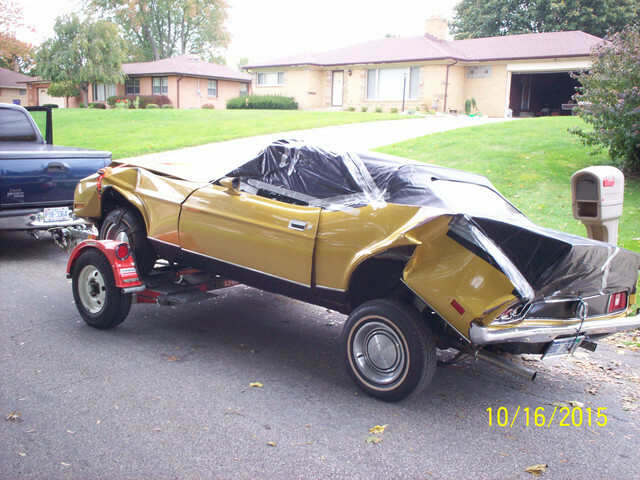 The insurance company totaled it and also gave him the car back. I bought it for $1,500 for all the great parts it had. If you do try to fix of course the first thing is off the the frame machine. There has to be some twist for sure since hit on one side. The car in picture still drove, doors opened and closed and radiator not busted. Sometimes inside the engine can be damaged also. With the sudden stop the weight of the crankshaft can shift forward and crack the block where the center web is with the thrust bearing. Saw that on NASCAR engines after a crash. Still ran but block was cracked. When Dale Earnhardt crashed it sheared the head bolts off his engine. So maybe you can get total and get the car and get it fixed. They usually total if over 75% of value I think. This car had $35,000 coverage but lowered to either $16,000 or $18,000 just before crash. He was hit in rear and drove into another car. I'm so sorry man, glad you're okay. Car looks really bad but might be repairable. Was looking at it some more and it looks like the drivers side of the front of the clip is moved in a bit, but the passenger side looks fine. It looks like it should be able to be straighten out. The fan shroud barley hit the alternator fan, the power steering pump didn’t get hit by anything. The shroud did go up to the a/c pulley but doesn’t look to bad. I can’t get the hood open so it’s kinda hard to see, but the fan doesn’t even look like it’s into the radiator. I am definitely worried about the engine coming to a sudden stop and my transmission is leaking. It had a little weep of a leak but it’s way worse now. I wasn’t going very fast, 20- 25 tops, and I was on the brakes when I hit the pole. So if they don’t total it I think it’s going to be ok to fix. But then I need to find a good restoration shop around here that knows these cars. I want to make sure they check the straightness of the car. I just want it to be done right. I’m also concerned about matching the paint. But I do have some of the original paint that was used and the formula so hopefully that won’t be an issue. Long way to go, I guess we’ll see what happens. Thanks to Mano (Manny) for stopping by today to check out my car and give me something things to look at and some advice. Nice to talk to someone who has restored one of these cars. Hey again thanks to all of you guys for helping me with this ordeal. Glad to hear you're OK, J! That's the important part. I'm thinking it's totally repairable. I did a complete front clip on mine, and it's not all that difficult. However, I don't think yours will need all that. I'm thinking that with the front crossmember getting squished, it might've drawn in the driver side front frame rail just a bit (which pulled in the aprons and caused the fender to distort like that. Honestly, from the pics I'd say you're looking at a frame straightening, new front crossmember, then the rest is cosmetic in the way of a new hood, bumper, valance, grille, and radiator support. Of course the impact shocked the whole unibody, so check the factory lead seams locations (mine had popped lead, indicating a rather severe front impact, I'm sure), and you'll want to get all of the mechanicals checked out before putting it back on road after an alignment. But I think it's all going to be OK. I mean, pretty much all of the replacement parts should run around $1000-1500, if you go with reproduction pieces, then it's a matter of getting the work done and repainted - I'd wager less than $7,000-8,000 (definitely less than $10K) to get it all back together - especially, if you can tackle some of the reassembly stuff yourself with some help/advice from Mano, if he's available. Good luck with it, Brutha! I know if any of us were close enough, we'd all be there right with ya to git 'r done! Don't let the insurance company short-change you! Looks like a typical Mach 1 wreck. My guess would be 10K to have everything fixed on it.